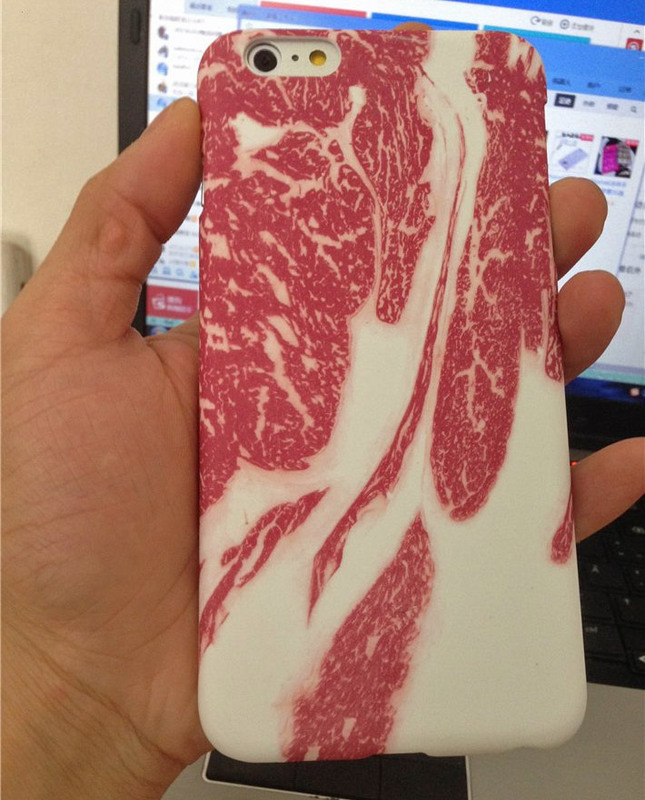 Sometimes it's nice to just look at beef and admire the shape and color of it along with the lines separating the beef from the fat. 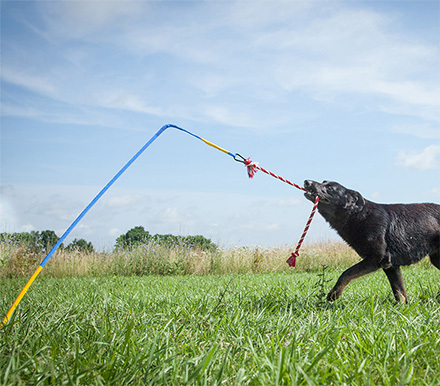 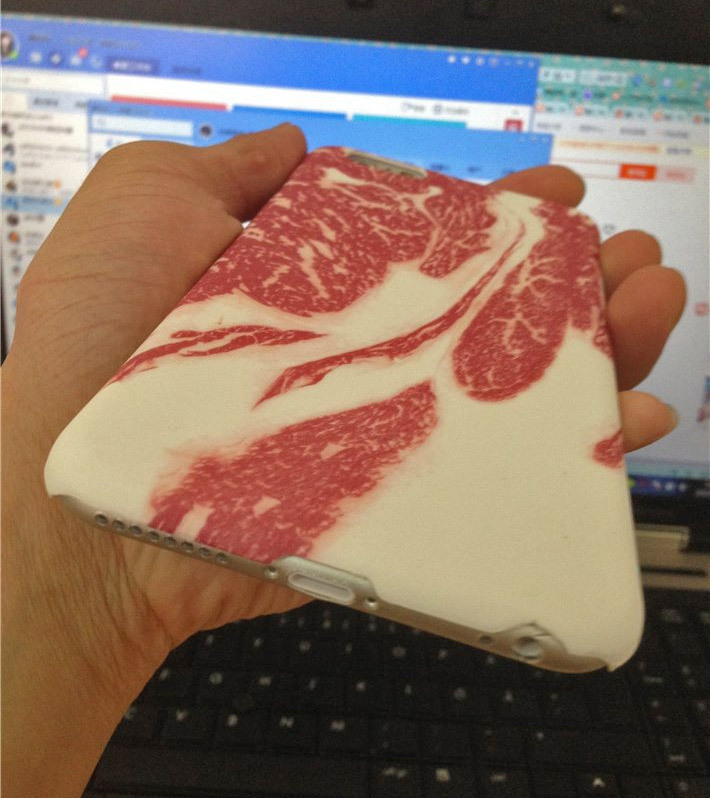 Sometimes I think I should have been a beef photographer in another life, assuming that's a thing... 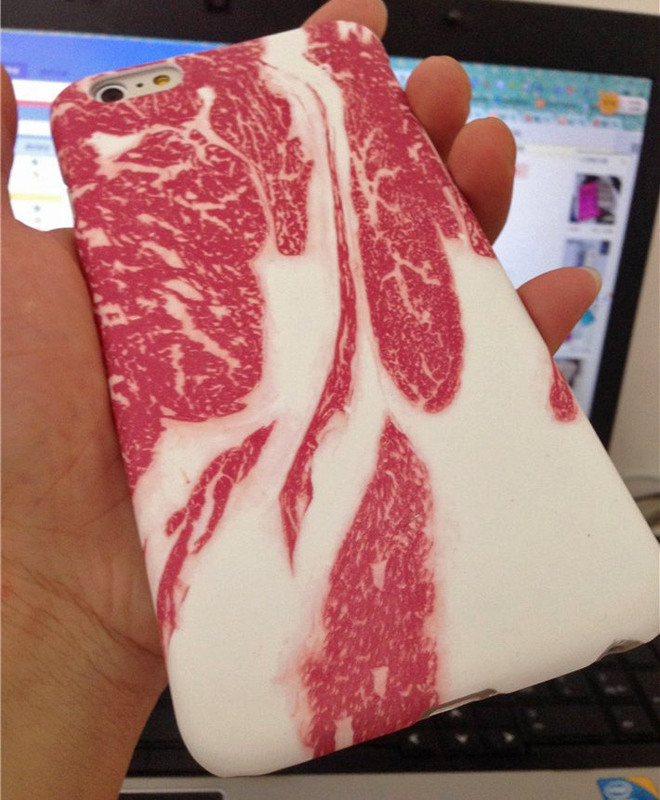 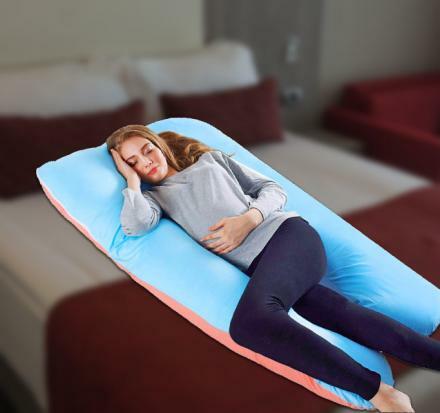 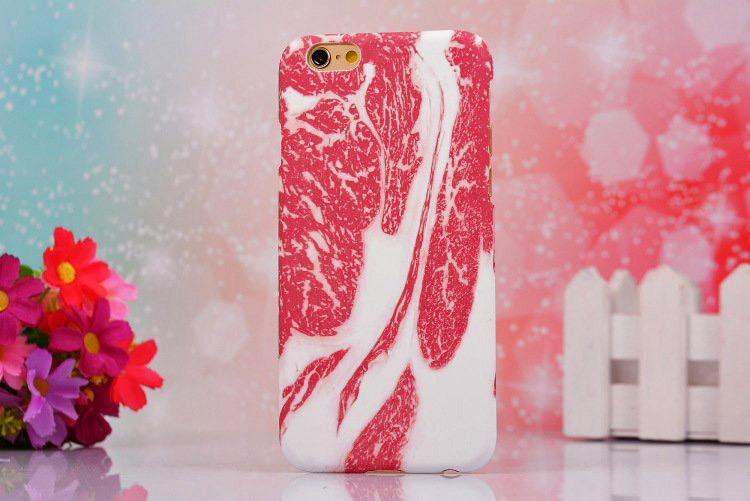 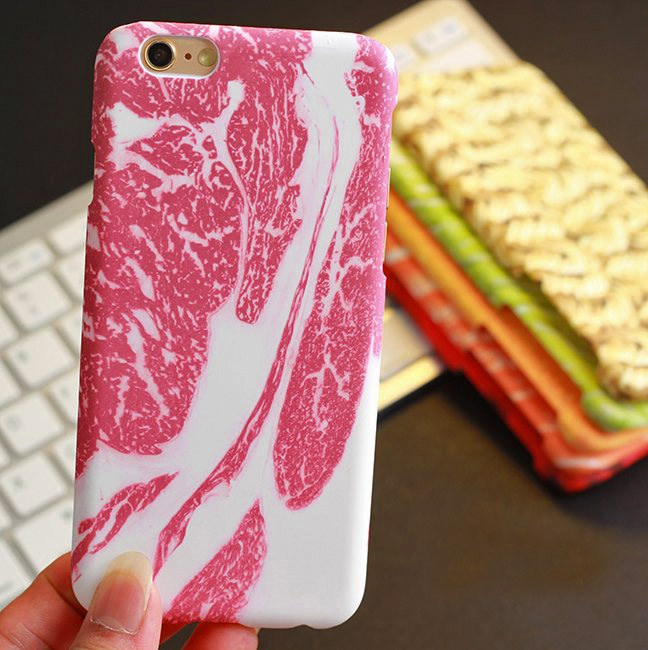 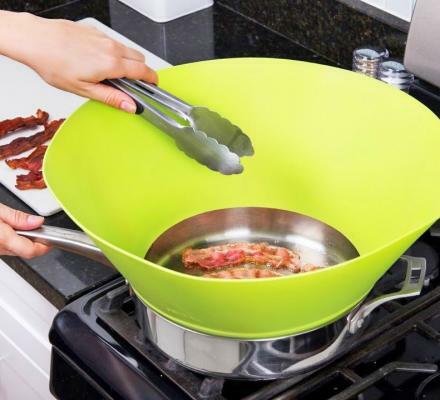 This iPhone case makes your phone look like a big juicy steak. 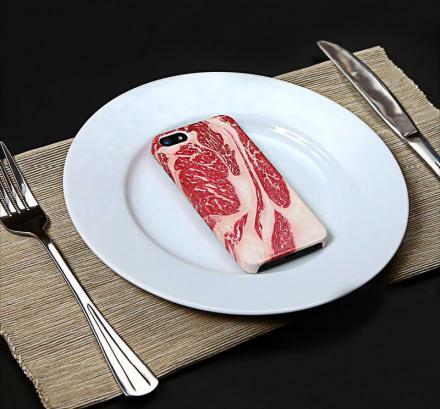 Whether you're looking for a smaller steak to cover your iPhone 5 or 5s, or you're looking for a big manly steak to cover your iPhone 6 or 6 Plus, this beef iPhone case encompasses them all. 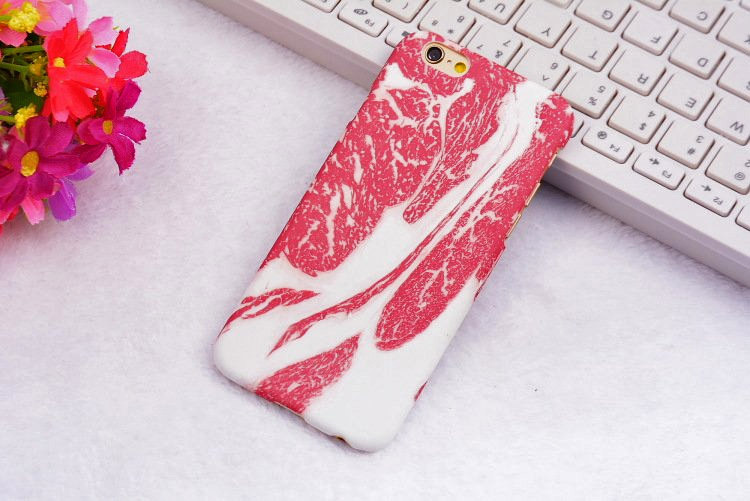 Although inedible and made from plastic, this steak iPhone case is printed using a high definition photo of a piece of beef and covers the back and all the sides of the phone, and is perfect for any cowboy or beef lover. 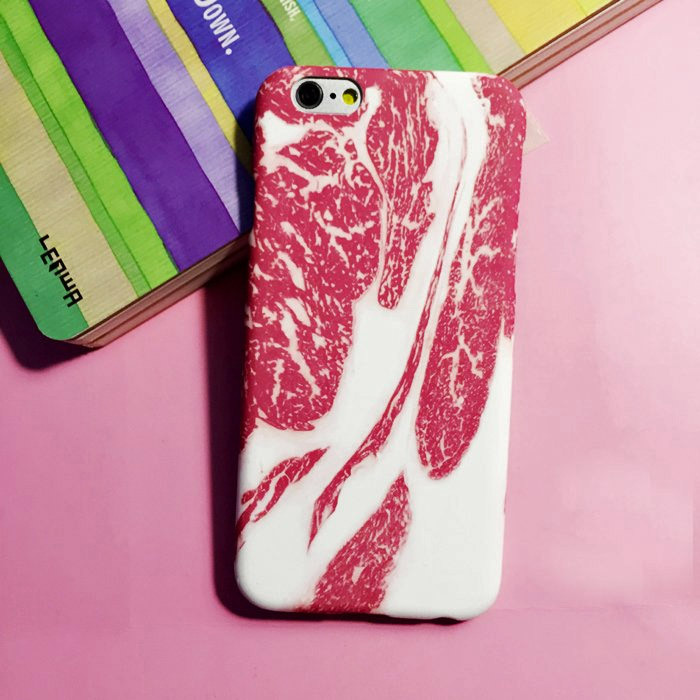 The Beef iPhone Case is compatible with the iPhone 5, 5s, 6, and 6 Plus, and leaves openings for the charging port, audio port, power buttons, and volume buttons.